We understand you're under pressure to deliver consistently great homilies. We're in the business of helping. Join thousands of your peers and gain access to our excellent preaching tools now. When Saint Paul wrote that God "obliterates" our sins, he very deliberately picked a word that conveys the idea that God erases all traces of our sin from the record, writes Jim Manney in Prepare the Word's featured homily for the sacrament of Reconciliation. We built the PREPARE THE WORD website to be simple to navigate, once you get the hang of it. Please take a few minutes to view this tutorial screencast, and you'll be zipping around PREPARE THE WORD in no time! 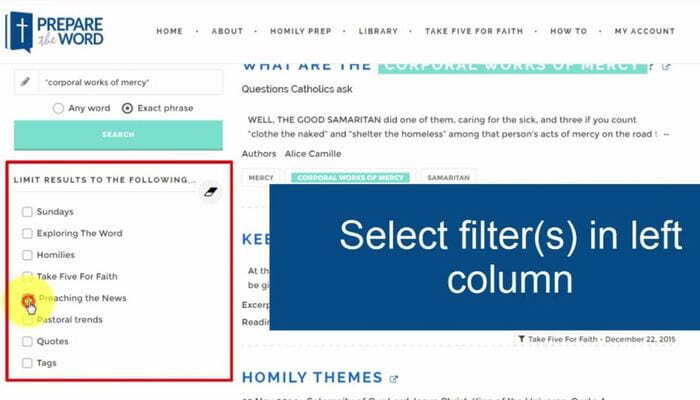 Need to liven up your homilies? Check out these tips on humor and storytelling. Our service runs deeper than words on a page. Our writers and scholars consolidate information you need and pair it with valuable insight every week. Sign up now and watch our team become your team. Our subscribers are committed to excellence, to constantly improving their craft. They are busy people who want homily prep to be efficient. Using our resources isn't a sign of weakness, it's the smart move. Our work goes well beyond helping one person accomplish one job. Our resources enrich whole parish communities, bringing the word to life in a variety of ways for a variety of audiences. 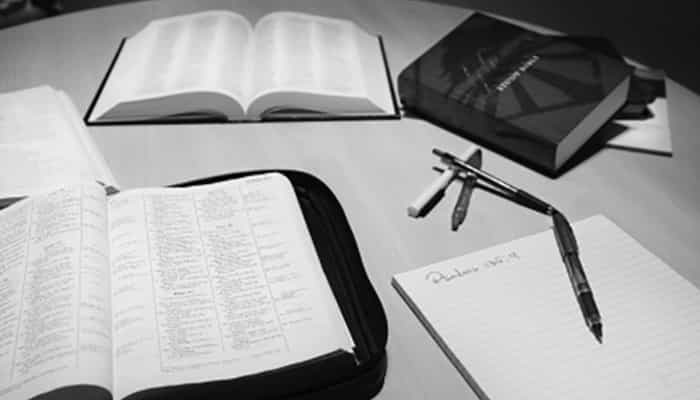 With PREPARE THE WORD, you can trust that we will be there each week to provide you with a top-flight suite of tools to facilitate the process of homily preparation. One day during a prolonged funk, when I was sure the world as we know it was coming to an end, my neighbor stopped by to ask me for help. When Bernard Hebda was in eighth grade, he thought he had an idea of what God was calling him to do, but he wasn’t sure: God either wanted him to become a priest or a bus driver. Flat on my back for three weeks, fighting an infection that ravaged my body and attacked both legs, leading to surgery and talk of possible amputation of one or both, I awoke intact but with a grueling regimen of physical therapy three times a day. My mother never had much by way of money or material possessions. Luckily, such things didn’t really matter to her. He’s out there every day even when it’s 95 degrees or when it’s raining. Only the bitter cold and snow keep him away. People have told me my homilies have changed a lot and that they're more inspiring than ever. Thanks a zillion! You provide an excellent service for the busy minister! This website is chock-full of information related to the scripture readings. There's so much here to get my ideas started. Your words are always encouraging and needed, not to mention true and beautiful. I'm a teacher. I need inspiration first thing in the morning. Thank you! Thanks for your excellent resources. Once again, you have offered an almost perfect meditation. Thanks. Award-winning writers. Tons of content. Easy to use.